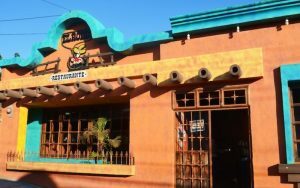 Looking for Santa Rosa de Copan Restaurants? Santa Rosa offers an ample selection of restaurants and eateries to choose from. Following we present a list of the establishments that are most outstanding. I am sure that we feel will meet the most varied tastes with good quality food at excellent prices. Honduras produces some of the best coffee in the World. Santa Rosa de Copan is the proud headquarters of HWC (Honduras Western Coffee). This is a denomination of origin for outstanding coffee produced in Western Honduras. Kaldi’s Koffee serves you some this outstanding coffee. The unique coffee shop in the heart of Santa Rosa de Copan, next to Santa Rosa’s Cathedral Church. Besides some great coffee, Kaldi’s offers a menu that includes crepes, deli sandwiches and pizza. Open Monday through Saturday from 9:00 am to 7:00 pm. Sundays from 3:00 to 6:30 pm. Enjoy indoor and sidewalk seating. This is a gourmet coffee shop you will love! Owners Salome and Jorge are always on premises and are great hosts! Find them on facebook @kaldiskoffeeshop! Zotz Restaurant is a lively spot at night, offering diverse live sport screens. 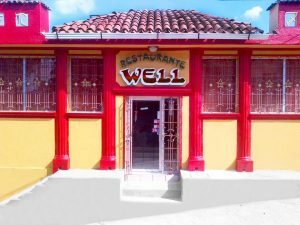 The most popular of all Santa Rosa de Copan Restaurants! Zotz offers a restaurant bar style atmosphere. 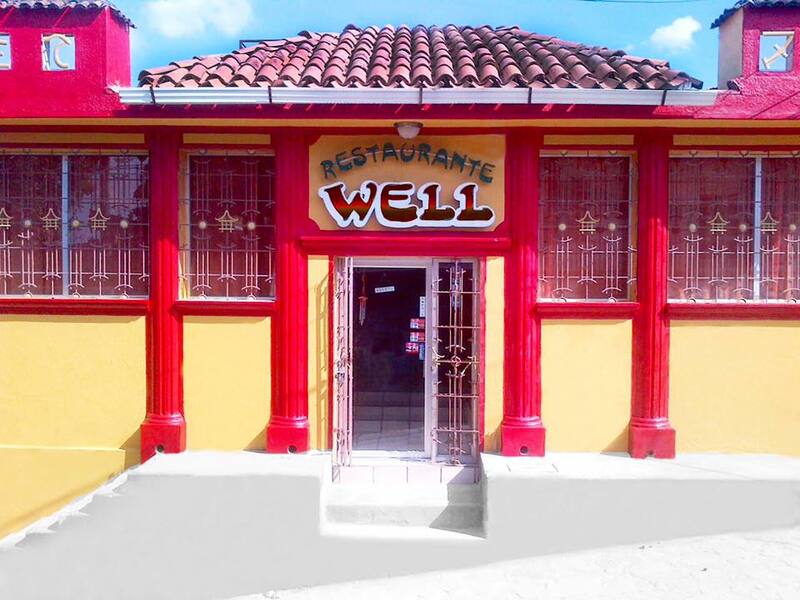 Their menu has a nice combination of continental style food with a variety of typical Honduran cuisine. Open daily for breakfast, lunch and dinner. Monday to Friday from 7:30 am till 1:00 am, Saturdays from 6:30 am till 3:00 am, Sundays from 11:00 am. Till 1:00 am. Probably the best stocked bar in town. Very pleasant setting. 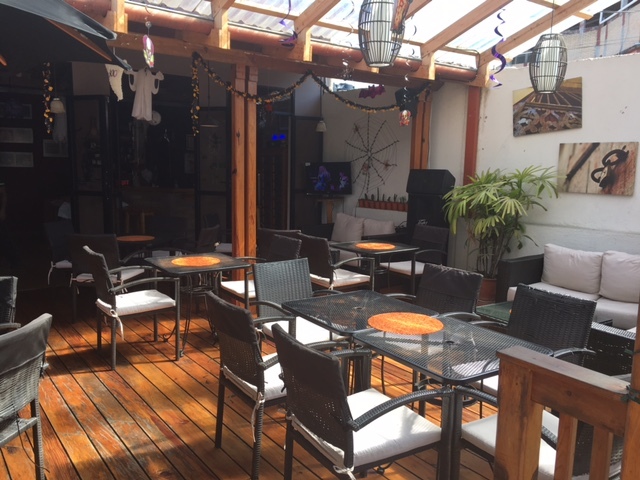 Im addition to the air conditioned area, they have a nice rooftop terrace that is ideal as a lounge bar. Easy to get to on Calle Real Centenario. Zotz accepts all credit cards. Restaurante El Rodeo. Photo Courtesy of honduras.travel. One of Santa Rosa’s best steak houses with an informal atmosphere. 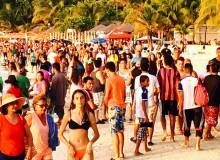 It is also a popular drinking spot for the locals, with good music for dancing on weekends. Check out the stuffed animals on the walls! 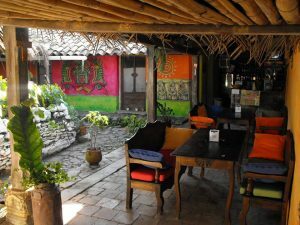 Open daily for lunch and dinner from 11:30 am till past 11:00 pm, later on weekends. Located 1 ½ blocks south of the central park. They accept all Credit cards. This is one of the longest established restaurants in Santa Rosa and remains one of the more popular ones. Offering great pizzas, plus sandwiches, salads, pastas, calzone as well as breads and pastries. Pleasant, family style atmosphere. Probably the best pizza in town. Open for lunch and dinner Tuesday to Sunday from 10:30 a.m. till 9:00 p.m. English spoken! They have a pleasant family style atmosphere. Santa Rosa’s best Chinese restaurant offers excellent cuisine with generous portions. Try their wan tans and the house specialty, “Arroz Well”. Located half a block south of llanticentro HH, two blocks south of the Central Park. Open for lunch and dinner. Find them on facebook: at @RestauranteWell. They are open Monday through Saturday from 10:00 am till 9:30 pm. Closed on Sunday. 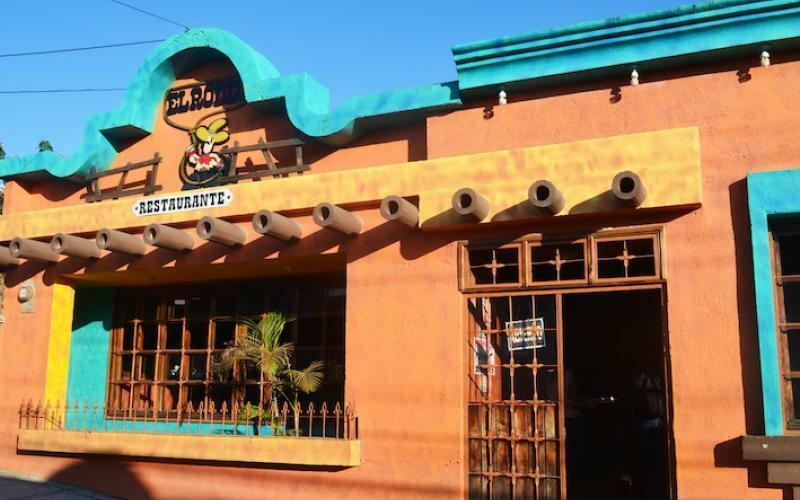 This is one of the Restaurants in Santa Rosa de Copan that offers best value! Indoor Patio at Las Haciendas Restaurant. Established in 1983, this is one of the traditional restaurants in town. Located in a remodeled home with an interior patio, it has a nice relaxed atmosphere. Their menu includes International and Honduran specialties, featuring parrilladas (grilled dishes for several persons). Well stocked bar, with television often tuned to American sporting events. Open for lunch and dinner from 10:00 am till 11:00 pm. Located 1/2 block east of Casa Bueso. Las Haciendas is always a great option when deciding where to eat in Santa Rosa de Copan. 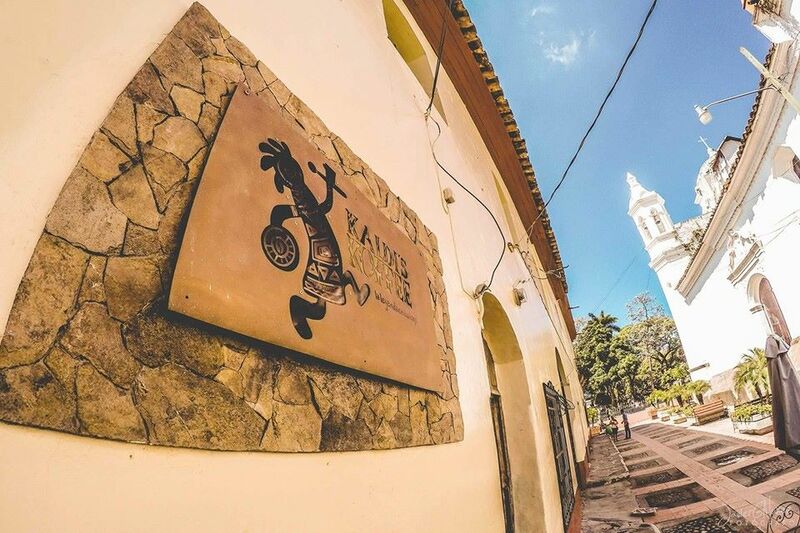 Located at the Hotel Elvir, and open 365 days a year for breakfast, lunch and dinner, this is one of the best Santa Rosa de Copan Restaurants. Probably the best breakfast in town. You cannot go wrong at the Hotel Elvir. 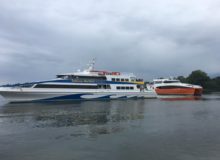 Service is available daily from 6:30 am till 10:00 pm. The restaurant is managed by Patrick, a French Chef who has made Santa Rosa de Copan his home and shares his culinary expertise offering great food. In addition to breakfast, lunch and dinner, there are excellent pastries and of course, great coffee. 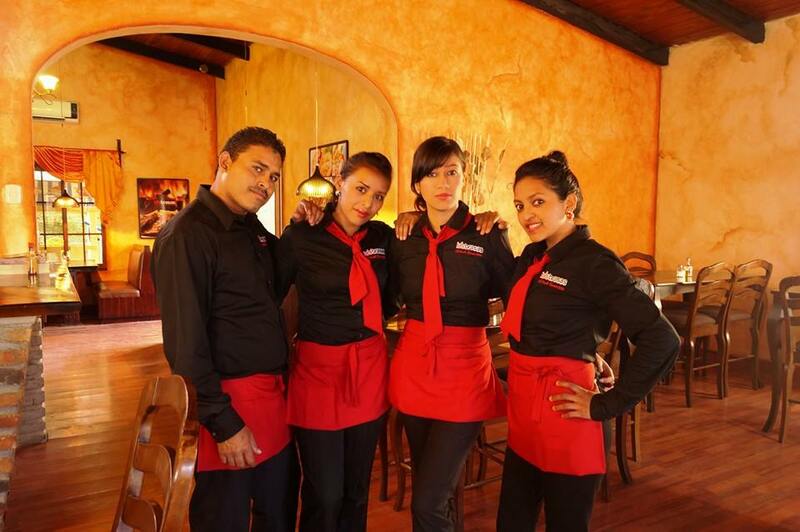 A full international bar is also at your service with a variety of wines to choose from. Located at the Casa Real Hotel. 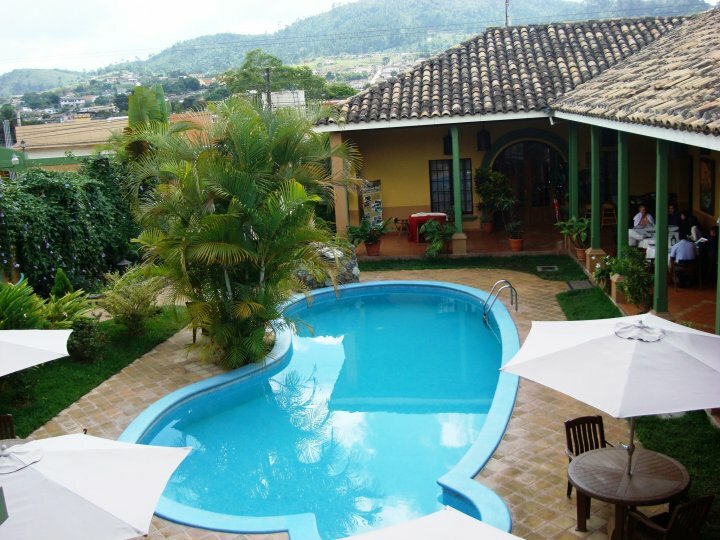 This pleasant restaurant offers a nice, colonial style setting with a pool. Menu offers a nice selection of typical Copanecan cuisine. They feature dishes that include popular local elements such as loroco and chipilin. Open daily for breakfast, lunch and dinner. The setting is nice and with good taste. Open daily for breakfast, lunch and dinner. 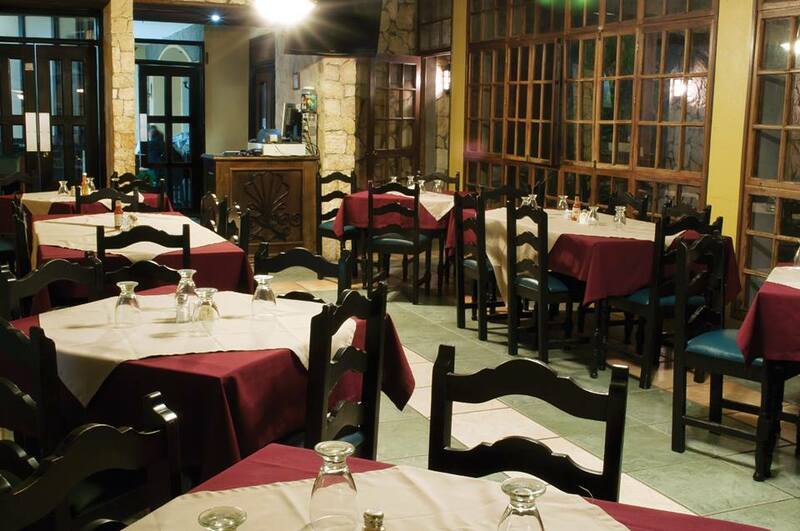 Enjoy your meal at Casa Romero Restaurant! Cafe Las Velas, a great coffee shop and candle store. It is not common to find outstanding coffee in a place with exquisite taste. El Café de las Velas offers both. A nice cozy setting in an old colonial home. They serve outstanding coffee, smoothies, and sandwiches. In addition, they sell artistic candles and of course coffee related details. 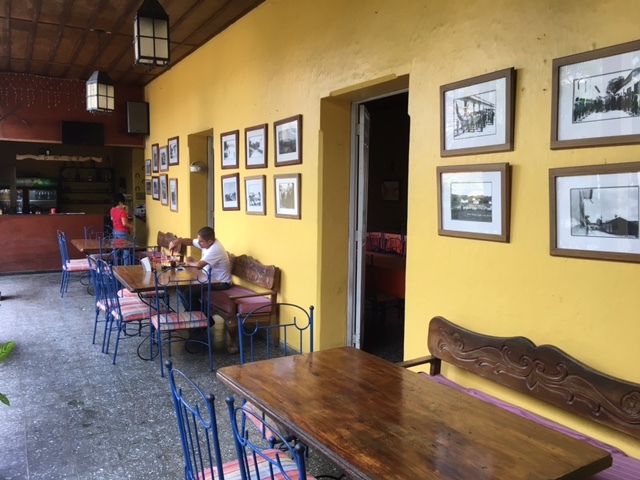 El Café de las Velas is on the corner of Avenida 4 NO, entre 1ra calle NO and calle Real Centenario. They are open for breakfast, lunch and dinner Monday to Saturday from 7:00 am till 6:00 pm. Closed on Sundays. Breakfasts are particularly good at El Café de las Velas. Best roasted piglet in Honduras is at La Casa de Dona Olimpia. 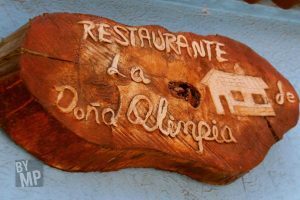 For over half a century, Santa Rosa has been famous for the piglets that Dona Olimpia used to cook. 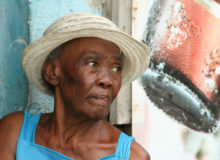 Although she is no longer with us, her granddaughter has take over the family business. They offer a basic restaurant where you can eat some of this World Famous roasted piglets. Don’t expect a fancy elegant restaurant. But you can expect a tasty, juicy piglet that will melt in your mouth! The piglets are cooked with a secret recipe and lots of love in a wood roasted oven. This has to be one of the best meals you can have not only in Santa Rosa de Copan, but in all Central America. Open Tuesday to Sunday for lunch and dinner from 10:00 am till 8:00 pm. Piglets are usually ready by 11:00 a.m. If you want a roasted piglet to take home, call in the day before to reserve one! Telephone: (504) 2662 4886, (504) 9519 5474. 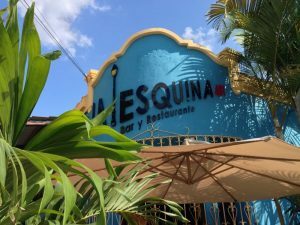 La Esquina 401, a tribute to Latin American Cuisine! 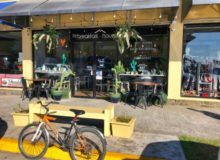 A restaurant that honors the extensive Latinamerican diversity! 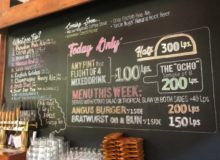 The menu offers food from around the contintent. Shrimp Nachos from Mexico. Mofongo from the Dominican Republic and Puerto Rico. Chicken with Loroco from Honduras and much, much more! Enjoy the rhythmic Latin music and the tropical cocktails prepared at the bar. 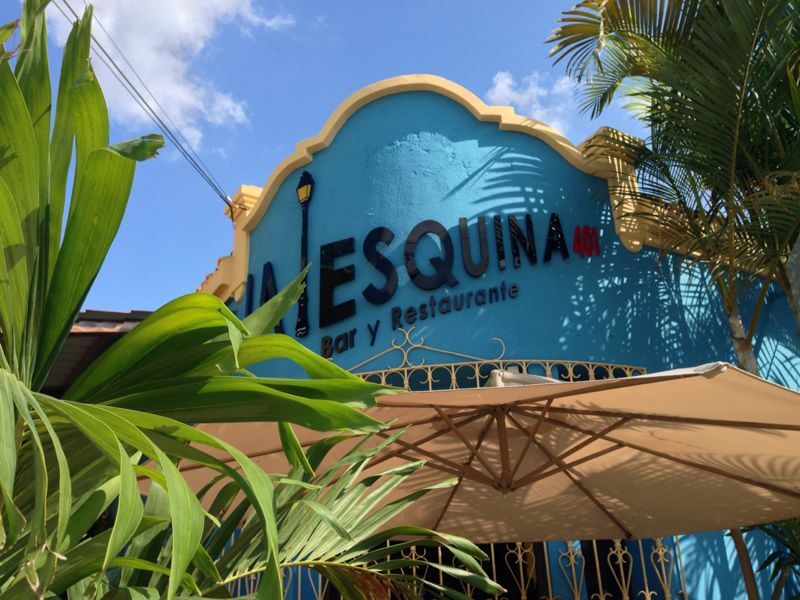 La Esquina 401 is open daily. It is a relatively quiet restaurant till 8:00 p.m. when the music gets turned up and the party begins. Monday through Thursday they are open for lunch and dinner from 11:00 am till midnight. Friday through Sunday 11:00 am. till 2:30 am. This is one of the liveliest spots in town at night! All the charm of rural Honduras can be found in this lovely old home with an interior courtyard. The food? Well let’s just say it is outstanding. Try the typical Sopa de Gallina, or their delicious charcoal broiled dishes. Service is outstanding, and you can tell there is a lot of lovin care put into this business. 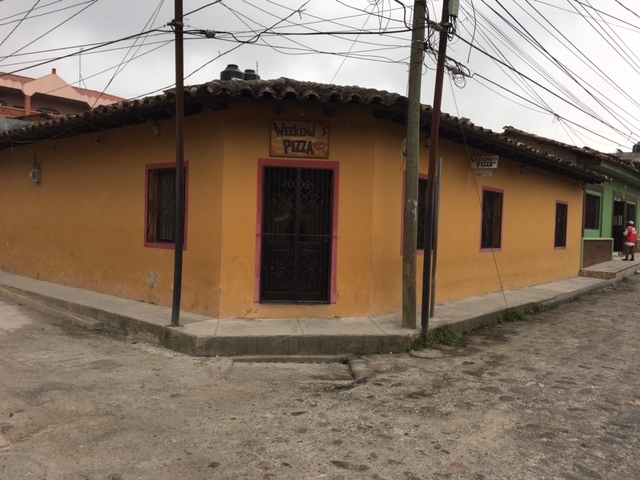 Certainly a place to consider when looking for Restaurants in Santa Rosa de Copan. 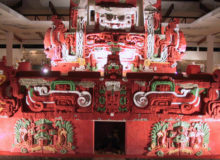 Restaurante Lenca Maya is open daily from 10:00 am till 10:00 pm. La Taquiza Restaurant and Sports Bar. Although it sounds like a Mexican restaurant serving tacos, it is actually a lot more than that! They offer an extensive menu that includes tacos as well as grilled and charcoal broiled dishes, burgers, pastas and even chicken wings. This is the closest to a full fledged sports bar in Santa Rosa de Copan. On weekends they usually have live music and stay open till the wee hours of the morning! Open Monday through Saturday for lunch and dinner from 10:00 am, till 10:00 pm. On Friday and Saturday they stay open till 1:00 am. and 3:00 am. 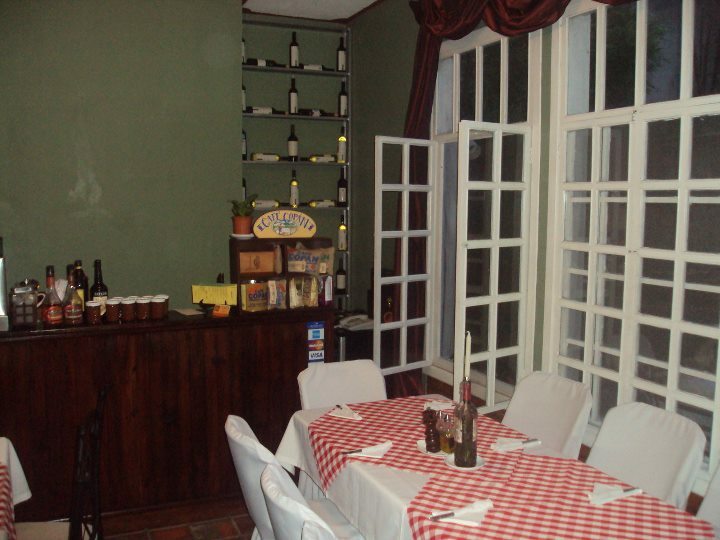 Santa Rosa de Copan’s Italian Restaurant. 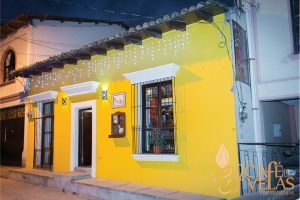 If you like home cooked Italian food, this is the place to go in Santa Rosa de Copan. 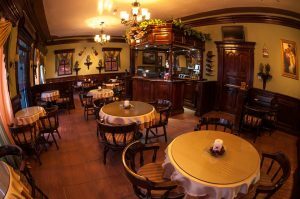 They have an extensive menu with outstanding pastas. A nice selection of Italian and Honduran liquors as well as a nice selection of wines are also available. La Gondola is open Monday to Saturday for lunch and dinner from 11:00 am ti 2:00 pm and from 6:00 to 10:00 pm. 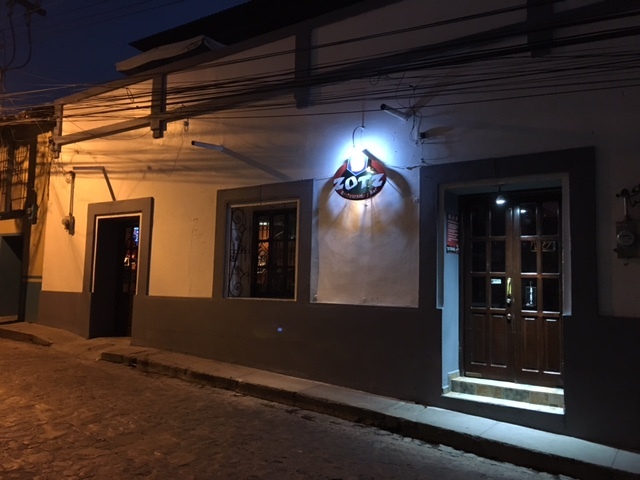 One of the top steakhouses in Santa Rosa de Copan. Although a steakhouse, they offer a variety of other dishes, including burgers and fries for kids. They have a nice outdoor playground for kids, making it a good option if you have young children in your group. They also have a couple of private rooms, ideal for small groups or families that prefer some privacy. Las Brasas is open daily for lunch and dinner, Monday through Thursday from 11:30 am till 10:00 pm. Friday and Saturday till 11:00 pm, and Sunday 9:30 pm. Fitness, bar and restaurant. Who would have thought of it? But its clever, you workout, so now you are hungry. You do not want to through your workout out the window and eat something unhealthy do you? Mass includes a gym, a mini soccer field and a restaraurant and bar. It’s indoor – outdoor ambiance fits into Santa Rosa de Copan’s weather like a glove! Mass offers a variety of foods, including outstanding salads with hydroponic grown lettuce. Try their awesome buffalo burger or buffalo wings. Mass offers a great setting for families and friends. Open Tuesday to Thursday from 11:00 a.m till 1:00 am. Friday and Saturday from 11:00 am. Till 3:00 am. Sundays from 11:00 am. To 6:00 pm. Closed on Mondays. Jireth offers fine elegant dinning, featuring Italian specialties, great coffee and pastries. 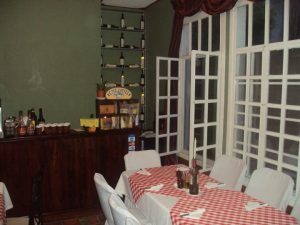 An interesting, setting, with a pleasant European style décor, serving great pizza, as well as home made baked goods. Jireth is full air-conditioned. One of the most pleasant facts about dining at Jireth is the background music. Jazz, classical, and instrumental plays in the background, providing a relaxing atmosphere. Food is great, and they offer the best pastas in town. These are all home made, and together with the outstanding pizza, provide one of the best Italian meals in town! Jireth is a paradise for those with a sweet tooth. 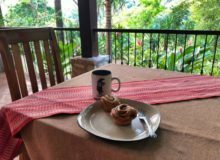 Danish pastries, local sweet breads, Honduras chocolates and outstanding coffee and hot chocolate beverages will make you feel like you are in heaven! Open Monday through Saturday from 8:00 am. till 9:00 pm. Sundays from 10:00 am until 7:00 pm. 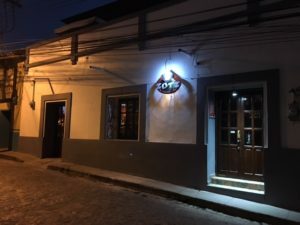 The one and unique Tapas Bar in Santa Rosa de Copan! 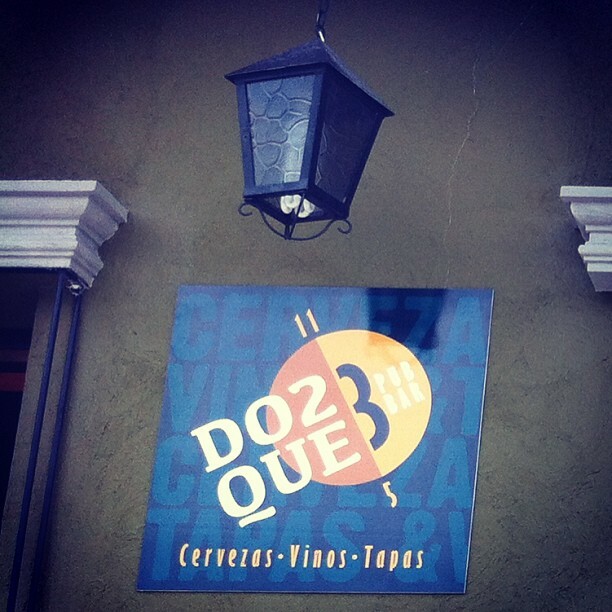 Do2 que 3! 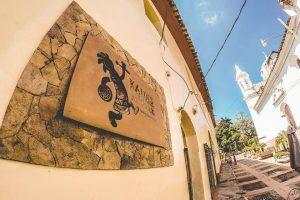 Santa Rosa de Copan’s tapas bar! The largest selection of beer and wine in town can be found here! The menu is limited, but includes gourmet cheese and jam platters, german sausages, and chili beans. This is a great place to enjoy a good glass of wine or one of over 48 brands of beer offered in the menu. The Pub Bar is open Wednesday and Thursday from 5:00 pm. to 1:00 pm. Friday and Saturday from 5:00 pm. until 3:00 am. 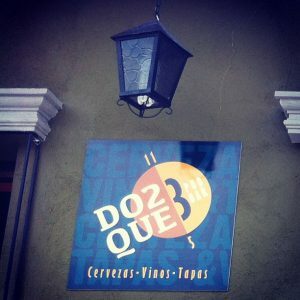 Do2 que 3 Pub is a fun place to meet with friends!